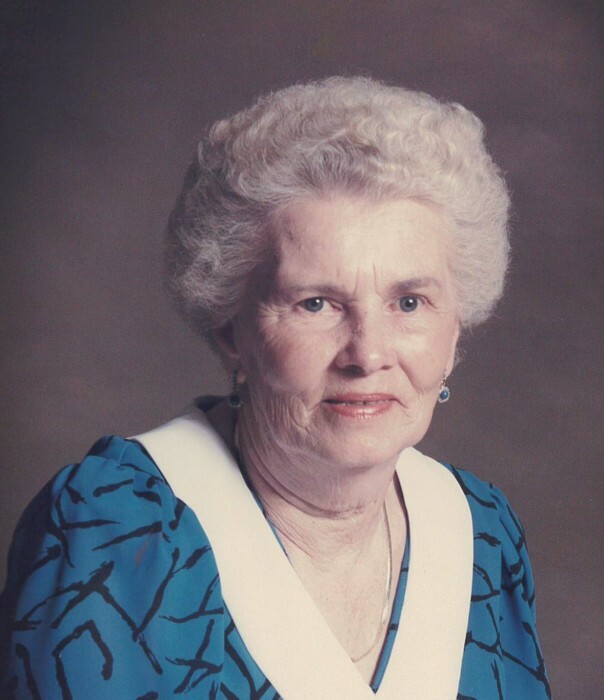 Rachel Gray Mauney Williams, 97, of Albemarle, passed away Monday, April 8, 2019 at Bethany Woods Nursing & Rehabilitation Center in Albemarle. Mrs. Williams was born December 11, 1921 to the late Zeb and Odessa Gray. In addition to her parents, she was also preceded in death by husbands, Richard Mauney, Zimmie R Williams; four sisters and two brothers. Rachel spent thirty years as a textile worker at Wiscassett Mills, where she retired in 1983. She was a former Sunday School Teacher at Porter Baptist Church and she loved country and gospel music, word puzzles, and reading. The family will receive friends from 12:00 - 12:45 pm, Thursday, April 11, 2019 at Hartsell Funeral Home Albemarle. A graveside service will be held, Thursday, April 11, 2019, at 1:00 pm, located at Fairview Memorial Park,1425 East Main Street, Albemarle. Rachel is survived by: sons, Bill R. Mauney and wife Susan of Mount Pleasant, Larry S Mauney and wife Betty of Albemarle, Richard Wayne Mauney and wife Debbie of Tampa, FL; sister, Geneva Barnhardt; five grandchildren; nine great-grandchildren, and two great-great grandchildren. Memorials may be made to St. Jude Children's Research Hospital, P. O. Box 1000, Dept. 142, Memphis, TN. 38101. Hartsell Funeral Home of Albemarle is serving the Williams family.